I'll try to find some time to upload pics. Yup. Not a $300 PBC. Can it cook 8 slabs of spareribs? just found this thread, now I want one. Yep, that's about what I paid I think at academy several years ago-longhorn (used to be ok joes I think), 8 would be about the limit, I use a rib rack to hold ribs vertical so 8 or 10. But baby back slabs are easier to handle in the rib racks. It also requires a lot of baby sitting. Practically, a pbc would probably be a better choice for the every now and then smoker. 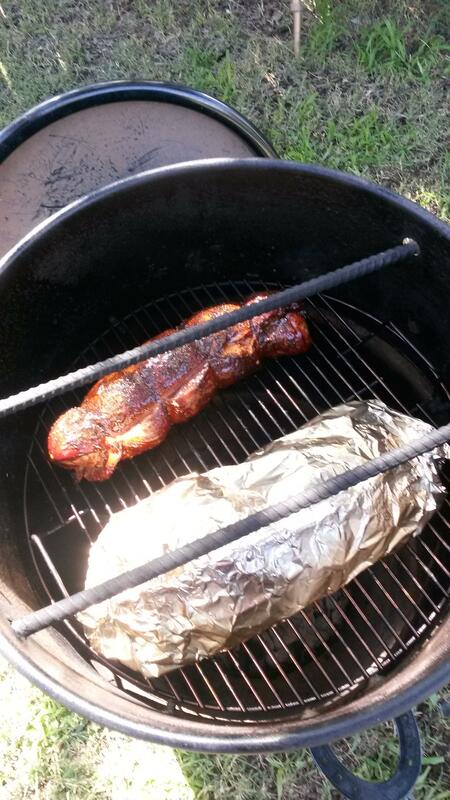 Yesterday I cooked pork chops and jalapeno sausage in the PBC. 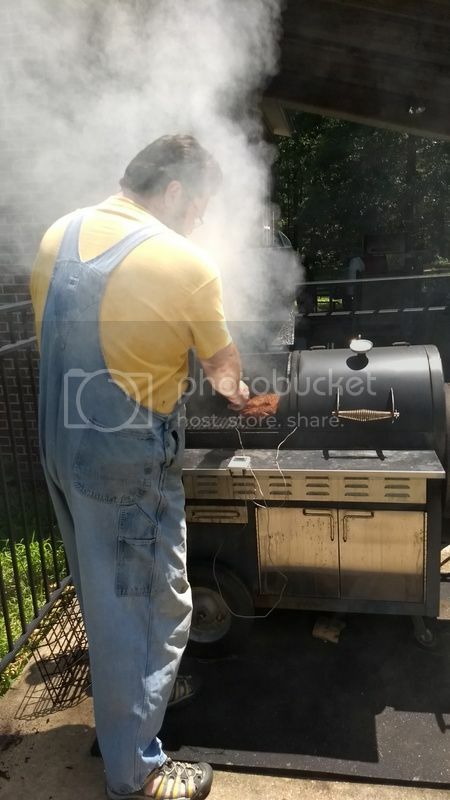 I also smoked the vegetables and the mango for the hot sauce using pecan wood. The smokiness really makes a positive difference. Mrs UB says that I have to make it this way from now on. My next trip for work to Amarillo I may have to swing a bit south of I40 on the way back. I'm headed to Amarillo tomorrow. I would love to hear some of your experience, advice, recipes for hot sauces. I've got tabasco peppers growing now. I haven't attempted any hot sauce in years and it was only so- so. I'll bet I could smoke good meat from a white moose on this thing. 9 lbs of pulled pork shoulder. 8 racks of pork spareribs. I am making more salsa today and I will throw on some chicken breasts.